FULTON, NY – Rita J. Carr, 89 of Fulton, passed away Saturday August 25, 2012, at St. Luke Residential Health Services in Oswego. She was a longtime resident of Fulton moving there from Oswego in the 1940s. Her working years in nursing began with the Oswego County Nursing Program and ended with retirement from Andrew Michaud Nursing Home in Fulton after more than 18 years. After retiring, she trained for hospice service. Rita was a communicant of Holy Family Church and participated in all church activities. She began her community volunteer work in the 1950s serving on the Minetto P.T.A. board. She was a member of the Salvation Army advisory board, the Fulton Historical Society for more than 18 years, the Women’s Club and was active with bridge marathons. 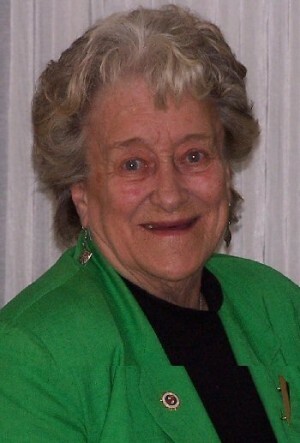 Rita was honored in 2005 by the Rotary Club in recognition for her many years of service by speakers from the Lee Memorial Hospital Auxiliary and Salvation Army Auxiliary where she held presidencies. She was predeceased by her parents, Clarence and Eldora Jones; and brother, Wesley Jones. Surviving are her four children, Carol (Garry) Muckey of Fulton, James (Madeline) Carr of Dedham, Mass., Virginia (Jack) Arnold of Fulton and Roy (Lynn) Carr of Syracuse; a sister, Bessie (Andrew) Fisher of Fulton; two brothers, Clarence Jones of Augusta, Ga., and Frank (Sue) Jones of Lock Haven, Pa.; many grandchildren, great-grandchildren, nieces and nephews. Calling hours will be held 4 to 7 p.m. Thursday at Foster Funeral Home, 910 Fay St., Fulton. A prayer service will be held at 9 a.m. Friday at the funeral home with a Mass of Christian Burial celebrated 9:30 a.m. at Holy Trinity Parish, corner of Rochester and South Third streets, Fulton. Burial will follow at St. Mary’s Cemetery in Fulton. In lieu of flowers, contributions may be made to St. Luke Health Services Fund, 299 East River Road, Oswego, NY 13126.